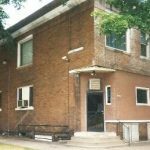 Formerly situated at 5335 Martin in a corner neighborhood off the Edsel Ford Freeway and Livernois Avenue in Detroit, Chadsey was for a long time one of the City’s and the Detroit Public School System’s jewels. Named for Charles E. Chadsey, Superintendent of Schools from 1912 – 1919, the high school was built and organized as a school in 1931. 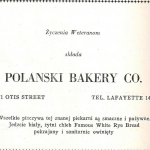 Membership in the West Side Merchants League was open to any American citizen of Polish descent, at least 25 years of age, and of good character. Early on, the league had its headquarters in the Warsaw Café at 3830 35th Street. 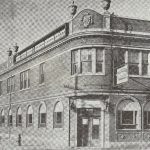 Later, when the Warsaw Café was razed, the club rented a room at the Congress Inn at 12800 Michigan Avenue in Dearborn. The league was very busy during the years of the Great Depression. It rallied to improve neighborhood playgrounds, most notably that of Priest School. The league’s first president was Adam F. Brzezinski, who served as president for 15 years. Brzezinski was a successful businessman and an involved citizen and was also active in Detroit politics. A great humanitarian, Brzezinski dedicated much time and many resources to providing aid to Poland. On June 26, 1924, he was decorated by General Joseph Haller and the Polish Army in France with the Miecze Hallerowskie (“Haller’s Sword” or the Polish Army Award) for this great work. He was honored by the Polish Army Veterans’ Association and also received a citation from the Veterans of Foreign Wars on January 18, 1948. In that year, the League had 235 men as members. In 1941, the Ladies’ Auxiliary was formed. In 1951-52, the league had 86 members. The League existed until approximately 1980. Among other initiatives, it provided scholarships to Chadsey High School. Dr. Charles E. Chadsey, the school’s namesake, resigned as Superintendent of the Detroit Public Schools in January 1919 to accept the position of Superintendent of the Chicago Public Schools. 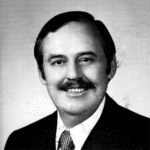 While in Detroit, Dr. Chadsey “brought about a new type of professional spirit and attitude to Detroit teachers and had instituted many educational innovations” (“History of Charles E. Chadsey High School – Detroit, Michigan,” Master’s Essay by Edmund Uscinowicz, 1962, p. 3). He had come from Denver and had received a doctorate degree from Columbia University. Chadsey High was unique in that it was spawned as a combination vocational-trade and academic high school. 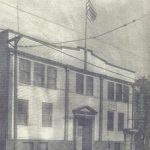 It was originally to be a two-story building but a resolution passed on May 13, 1930, approved a three-story building. The building was erected on a site used by the Clippert Brick Yard. The approximate cost was $1,000,241.00. The school was not ready for occupancy on the opening day of the semester in 1931, so the adjacent Munger Intermediate School opened its doors to Chadsey students, who attended classes there after Munger’s classes were dismissed each day. 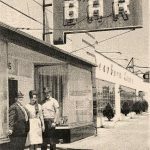 On October 12, 1931, the building was ready and Chadsey officially began operation. The date of occupancy, Columbus Day, inspired the names for Chadsey’s athletic teams (the Explorers), the school newspaper (the Navigator), the school annual (the Compass), and the literary magazine (Discovery). At the suggestion of the late Edwin L. Miller, the school colors chosen were those under which Columbus sailed: the vermilion and gold of Ferdinand and Isabella of Spain. Some of the early clubs that existed at the high school were the “C” Club, the Students Athletic Club, the Electric Club, the Library Club, the Commercial-Pen Club, the Geometry Club, the Pep Club, the School Service Club, the Student Council, and the Girls Glee Club. 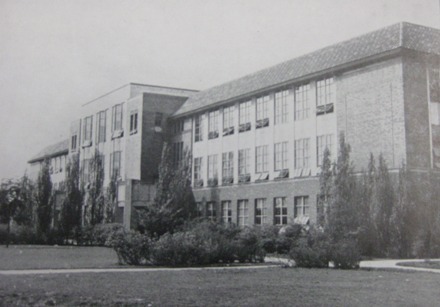 As of 1960, one of the unique features of Chadsey’s curriculum was a day trade school, which had been integrated into the regular high school program. As part of the trade school program students had the opportunity to learn a trade simultaneous with earning a high school diploma. A wider selection of shop courses than normally offered in high school was available under this program. Also as of 1960, students were integrated into one of the following curricula: 1) College Preparatory; 2) Commercial; 3) General; 4) Technical; 5) Trade; 6) Special Preparatory; or 7) Job-Upgrading. Prospective students interviewed personally with the principal or the assistant principal. Some of the courses offered as part of the Commercial curriculum included General Business, Business Law, and Retailing. The Technical curriculum included Engineering Drafting, Tool and Die Engineering, Modelmaking and Design, Welding, and Hotel and Restaurant Management. The Trade curriculum included, among other specialty courses, Electrical Mechanics, Cosmetology, Meat Cutting, Commercial Banking, Commercial Foods, Commercial Art and Sign Painting, Clothing, and Music and Fine Arts. Students enrolled in Commercial Foods learned all facets of the catering and hotel and restaurant industries. This curriculum featured a one-year internship program. Various Detroit-area hotels employed Chadsey graduates, and the graduates enjoyed a nearly 100 percent employment record. Students came from all over the tri-county area and even from out of State to enroll in Chadsey’s Commercial Foods curriculum. Students enrolled in the Cosmetology curriculum learned all aspects of the trade, including equipment operation, bacteriology, anatomy, and electricity. After 1,200 hours of instruction students were prepared for the State board examination in Lansing. The Special Preparatory curriculum was for students with special needs. The Job-Upgrading curriculum was a flexible program for students aged 16 to 21 who were not in school and unemployed. It was geared toward helping them become more marketable and to help them find and retain employment. Chadsey’s English Language Department during 1960 included not only courses in literature, composition, speech and drama, but also four semesters of French and four semesters of Latin. Miscellaneous courses offered during 1960 included Child Care and Development, Family Living, Home Nursing, Public Speaking, First Aid, Driver Training, Stage Crew, R.O.T.C., and Special Abilities Classes. Extra-curricular activities during 1960 included Band (Dance and Marching), Baseball, Basketball, “C” Club (Boys Athletics), Cheerleaders, Compass (Yearbook), Explorer (School Paper), Field Hockey (Girls), Football, Future Nurses Club, Girls Athletic Association, Junior Achievement, Junior Red Cross, Inter-Metropolitan Student, Sportsmanship Council, Mixed Choir, Modern Dance Club, Orchestra, Safety Council, School Play, Science Club, String Ensemble, Student Council, Swimming Team, Tennis Club, Thespian Club, Track Team, Usherettes, and Y-Teens. One of the school’s unique characteristics was the tunnel, an enclosed wooden passageway between the old Munger building and the Chadsey High School building. Chadsey was a unique high school and among the places in Detroit that will always hold treasured memories for those who were fortunate enough to attend classes there. Most students recall their days at Chadsey as being among the happiest of their lives. The esprit de corps among Chadsey graduates is incomparable, and the memories made there will live in the graduates’ hearts forever.